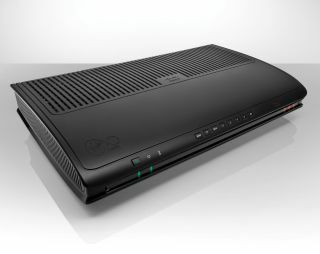 Virgin Media Tivo vs Sky HD: which is best for you? The battle between the UK's biggest Pay TV operators is heating up. Satellite broadcaster Sky, long time ruler of the subscription TV world, is now having to contend with the return of old nemesis Tivo, courtesy of rival Virgin Media. With it's smart recording functionality, jazzy interface and blended linear and VOD (Video on Demand) programming, Tivo is getting clued-up telly addicts in a lather. But how do the two TV titans actually compare? We've pitched Sky's top-end 1TB receiver against the Virgin Media Powered by Tivo (official moniker) box, rating each on a scale of 1 to 10 for Ease of Use, User Interface, Hi-def Content, 3D programming, Non linear TV Choice, Wow Factor and Price. With its clean EPG and self explanatory genre tabs, Sky+ HD is a model of simplicity to use. However finding particular programmes if you don't know what day or channel they're on is almost impossible. The Search functionality of the platform is very limited. The Tivo interface takes a little more time to master, but includes a variety of powerful search tools. Metadata helps link creators with stars and genres and the platform itself will make suggestions about related content that may be of interest. A search for a particular programme will quickly bring up available episodes on VOD and upcoming broadcasts. It will even link you into relevant YouTube content. The Sky+ HD interface is sharp but conventional. Ease of use is its key merit. The brand's Push VOD service, Anytime, hides behind the red button on the remote, with the all important recordings Planner assigned to green. Recent minor tweaks have located Sky's HD channels nearer the top of the EPG guide. Tivo's interface is something else entirely. The smart looking TV listing goes backwards seven days as well as forwards, and provides an entirely new way to access catch Up TV services. Outside the guide, you can navigate in multiple directions, thanks to interlinking metadata. Pictured TV shows across the top of the screen provide one jumping on point; you can also dig into cast members or genres.